Energy-from-Waste (EfW) is by no means a new concept for the environmental industry, as after the introduction of the European Landfill Directive in 1999, all Member States were required to rethink the way they dealt with biodegradable municipal waste. This resulted in a steer away from the once cheaper default waste-to-landfill option and acted as a stimulus for exploring new and more sustainable alternatives. And this desire to harness waste as a resource has showed no signs of slowing in 2018, as a deepening environmental focus has been embedded in governmental policy – outlined in the Prime Minister’s 25-Year Environment Plan. As a consequence, this has undoubtedly ramped up the nationwide debate around how waste plays a crucial role in achieving long-term environmental goals. The Plan detailed how – among other things – a crucial focus going forward into 2018 and beyond, is to ensure that all materials which form part of the country’s residual waste stream are wholly maximised as a valuable resource, to minimise their carbon impact on the environment when they are being recovered and treated. As a result of elevated public awareness surrounding the waste issue, we have seen an increasing number of businesses reflect upon their CSR commitments and actively seek alternative ways to reduce, re-use or recycle their ‘waste’ materials. When referring to the European Union’s 2008 waste hierarchy model, it states that the prevention and recycling of waste is the preferred method, before recovery and landfilling options. And whilst there’s no denying that the Government has been taking some sustained action to promote recycling and increase rates during 2018 – via public campaigns and policy proposals – the news that broke in June about the UK exporting higher-than-expected levels of plastic waste abroad to be treated, confirmed that other options such as Waste-to-Energy (WtE) plants are crucial, on the occasions that the recycling pendulum swings out of sync. Since its introduction, the legislation has been a key waste minimisation driver, as well as a tool to help organisations identify the most environmentally-friendly methods of dealing with waste. And as businesses have come under increasing pressures from constitutional policies and consumers’ greener expectations, WtE has edged further into the spotlight as a viable option. So, it’s also been a year that’s challenged antiquated perceptions around EfW solely signifying incineration – and has highlighted how new WtE plants don’t just make the problem go away, rather they extract resource from non-recyclable materials. Elsewhere, whilst 2018 has also seen the introduction of incentivised recycling schemes, it has also prompted organisations across a spectrum of sectors – including hotels, manufacturers, colleges and airports, among others – to investigate ways in which they can ensure greater autonomy over their waste, whilst also achieving an improved bottom line. This has resulted in more businesses exploring how to close the waste loop themselves – without any third-party involvement – not only to contribute to a more circular economy, but also as a means of being less reliant upon the UK’s current waste infrastructure. Illustrating this point further, in 2011 the Government placed a commitment to increasing EfW through anaerobic digestion (AD). Whilst this signalled a change in the organic waste paradigm – backing a transition from composting to AD – it also revealed a hurdle in the country’s infrastructure. It brought to light the fact that that many AD operators’ plants do not have the capability to distinguish the difference between compostable packaging and single-use plastic packaging, thus causing more efficient WtE solutions to be explored. Arguably, China’s policy changes regarding plastic waste imports at the start of 2018 have also acted as a huge stimulus for the country’s changed attitude towards not only plastic waste, but also WtE options. Having accepted around 45 percent of the world’s plastic waste for decades, there’s no denying that China’s sudden new stance on inbound waste shook up the recycling industry. 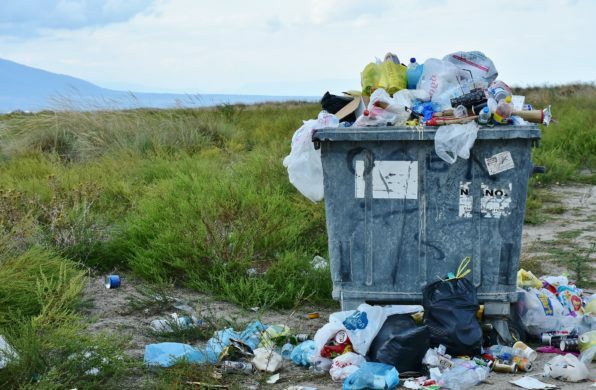 This has since evoked a movement in policy change across other Asian countries such as Thailand, Malaysia and Vietnam – with the latter halting the issuing of new waste import licenses in June. Cumulatively, these actions have certainly caused the recycling and waste sector to take stock and face up to the evolving issue that recycling methods for plastic waste were, in every sense, completely unsustainable. Having to adapt to this new way of thinking – seeing plastic in a more ‘recoverable’ light – could be one of the main industry motivations around 2018 showing an increased demand for compostable tableware, a product that can be processed, along with food waste, to generate energy, or even compost. A few years ago, when thinking about EfW feedstocks, it was solely C&I and municipal waste that sprung to mind, but as we fast-forward to the future of the sector in 2019 and beyond, it’s looking ever-more likely there will be a significant rise in the use of more unconventional – and often problematic-to-dispose-of – wastes to produce energy. This encompasses many materials that were previously only regarded as being destined for landfill, such as anything from tyres, poultry feathers and by-products, to paper production waste, and even carpets and fish farming waste. And when it comes to the niche arena of Animal By-Products (ABPs) – taking fish waste and mortalities as an example – if they are processed via legislation-compliant technology to create fishmeal and fish oil, these unusual feedstocks can then be used for solid biofuel and biodiesel production. It is these out-of-the-box and lesser known solutions that are currently being developed, which will drive innovation forward in the WtE sector over the coming years. And over time, it is likely that it will be waste management businesses which catalyse the Government to adapt the country’s infrastructure, so that resource leakage is minimised even further. Ultimately, what we’ve learned this year is that the single-use plastic debate has sparked an appetite for more WtE-led solutions, as it’s not just plastic waste that plagues the world’s environment. There is a plethora of difficult-to-dispose-of waste streams, which require us to recognise and embrace their functionality as a resource. So, it’s not a question of where the WtE sector is going, but where can’t it go?